CJN’s paralegal from the Orange Farm Human Right Centre discussed about Labour Court on Mahlasedi a letsatsi evening current affairs. The court had to interpret the word “deeming” in the newly amended Labour Relations Act and found it must be regarded as an augmentation rather than a substitution. This first “test” case of the new amended act was brought by Assign Services against the CCMA and others. The ruling has “brought optimism for stability to businesses, temporary workers and the TES industry, which have witnessed job losses and the folding of businesses during the time of uncertainty”. The Labour Court ruling sets aside the previous ruling – by the CCMA arbitrator – that the client organisation is the sole employer of TES employees after three months. As a knock-on effect, this resulted in the folding of a number of small to medium sized recruitment companies, a number of which were black-owned. Labour court is a governmental judiciary body, which rules on labour or employment-related matters and disputes. In a number of countries, labour cases are often taken to separate national labour high courts. Labour Court in South African handles labour law cases, that is, disputes arising from the relationship between employer, employee and trade union. The court was established by the Labour Relations Act, 1995, and has a status similar to that of a division of the High Court. It has its seat in Johannesburg and branches in Cape Town, Port Elizabeth and Durban. • The Labour Courts have the same status as a High Court. • The Labour Courts adjudicates matters relating to labour disputes between an employer and employee. • It is mainly guided by the Labour Relations Act which deals with matters such as unfair labour practices for example dismissing an employee without giving notice. 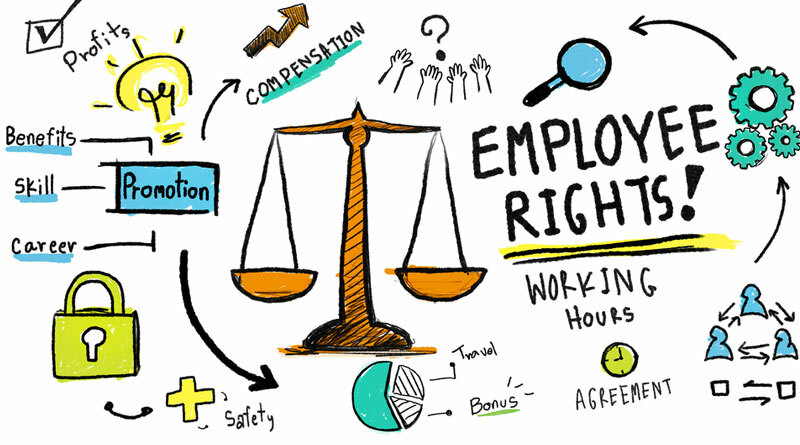 • The Labour Court can order an employer or employee or union to stop committing an unfair labour practice. • It can give jobs back to employees who have lost their jobs unfairly, and so on. The Labour Appeal Court hears appeals against decisions in the Labour Court and this is the highest court for labour appeals. • Strict procedures for firing and retrenching employees. • Many employers are required by law to register with industry-specific bargaining councils which then dictate the terms and conditions of employment in the particular sector. • There is no legally quick and easy way of dealing with strikes. • Trade unions can force employers to allow them access to the workplace. • Deduction from employees’ remuneration of money owed to the employer is very difficult to achieve due to the legislation protecting employees and their pay. • All employees are entitled to paid annual leave, sick leave and family responsibility leave. • It is compulsory to pay minimum wages, to limit hours of work done and pay a premium for overtime work. • Affirmative action and employment equity is compulsory for a great many employers. • In addition to having to comply with this legislation, the cost of fighting disputes at the CCMA and bargaining council can be very heavy. The TES provides to the client company staff to do the work that company employees would normally do. • The TES thus frees the client from many of the onerous labour-law responsibilities in return for a fee. While employment agencies and labour brokers can make reasonable profits from this type of business they often pay a very high price for taking over the labour-law risks involved.